The road to this decision was long and difficult. 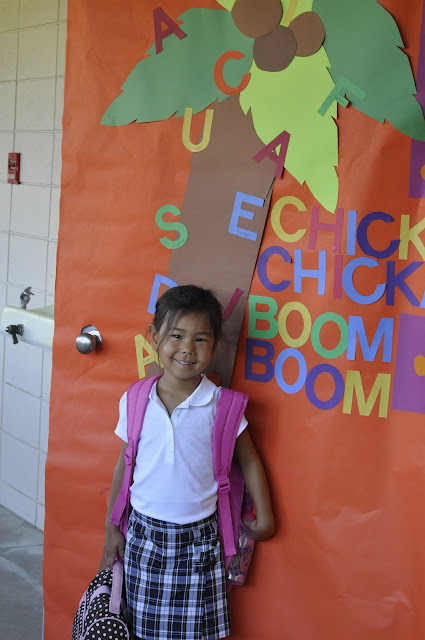 Late summer birthdays are tricky when making the decision to send your little one to kindergarten or to wait one more year. It's even trickier when your child is given the stamp of approval for kindergarten. Sometimes choices can be torturous gifts. I could go on and on. But when it came to making the final decision, we decided to play it safe for now and take it year by year. 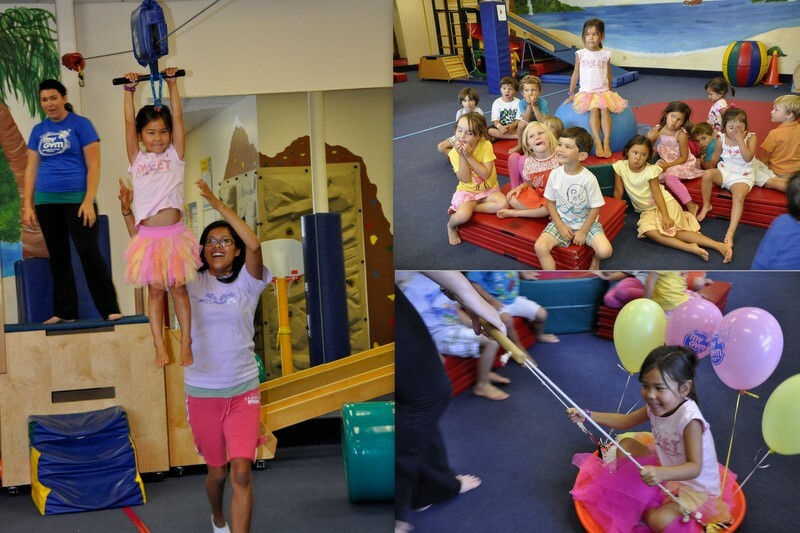 We have never met anyone who regretted not starting kindergarten on the early side of five. But we definitely met people who did regret it in the later years. Their child either had to repeat a grade or was struggling to keep up. We look forward to watching Sophia grow this next year. And if she turns out to be some genius, like her mom - bwahhh hahahaha - there will always be the option to test ahead. But no matter what, we are going to love and nurture her and give her every available opportunity to be successful. Because no one will ever have Sophia's best interests at heart like David and me. Remember this post? Well, we still have lots of halibut. Like tons. So, I thought I would switch it up a bit. Rather than the usual grilling, baking, panko-ing (I know that's not a word, but you get it) I decided to make ceviche. 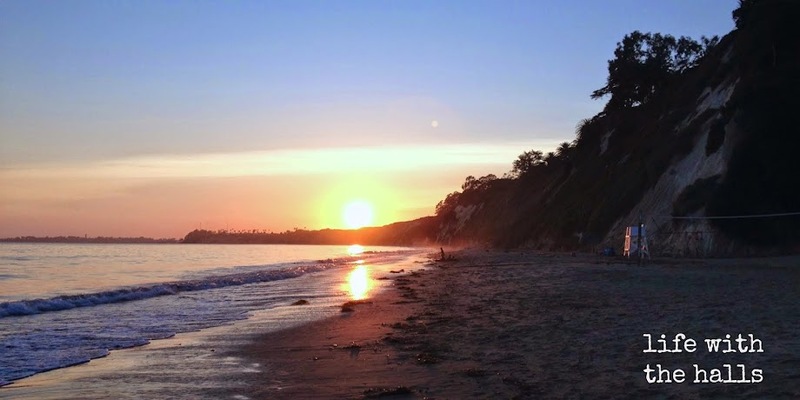 Santa Barbara has been exceptionally warm and I wanted something light and refreshing for dinner. I also wanted something easy to prepare because being stuck in a warm kitchen didn't sound appealing. Ceviche is really a no-brainer to make. It can be intimidating the first time around due to the apprehension of the fish not being "cooked" thoroughly by the lime juice. You gotta trust yourself! Combine lime juice, halibut, and onion in glass baking dish. Make sure the lime juice covers all of the fish. Cover and refrigerate for at least 4 hours. I turned the fish periodically, like once an hour. I don't think you have to though. Combine tomatoes, cilantro, jalapeño, and cucumber in bowl. Add a couple splashes of olive oil and sea salt. Mix and set aside. After 4 hours, or when fish is opaque all the way through, drain off excess liquid and toss into bowl of the other mixed ingredients. Season with salt to taste. Put back into fridge and let the flavors marry; about 30 minutes. Serve on top of tostadas or use chips to scoop up this yummy goodness! I need to remember . . . all kids are different. 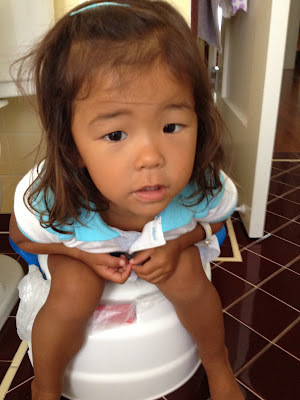 I have been trying to get Kalista interested in potty training what seems like forever. She is 2 years and 9 months and has no interest what-so-ever. 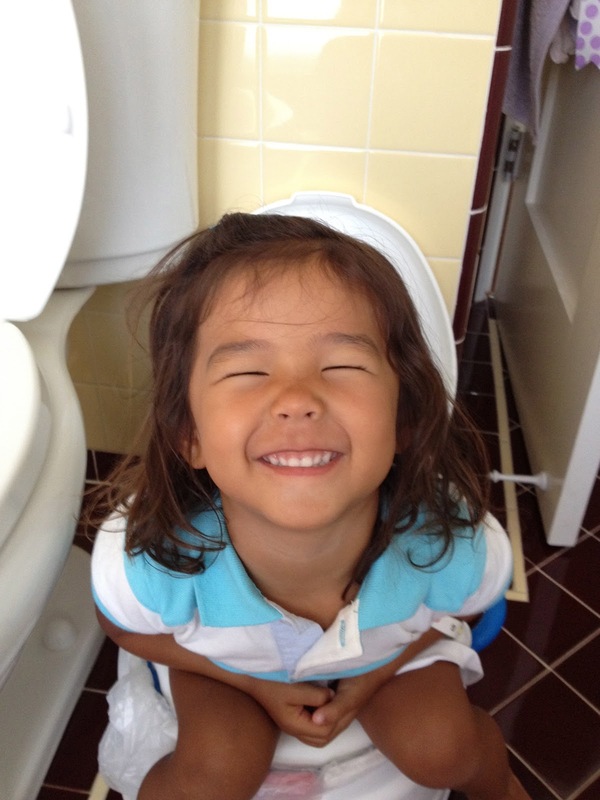 I had Sophia fully potty trained by this age. I can barely get Kalista to just sit on her potty chair; even with a diaper. But the other day she discovered the underwear I have for her. So she happily sat on her potty chair sans diaper. Cute little stinker, wouldn't you agree? but that's an eternity in the book of a 2 year old. Although nothing happened, I give Kalista credit for trying. Kalista repeatedly said, "It not working Mommy. It broken." 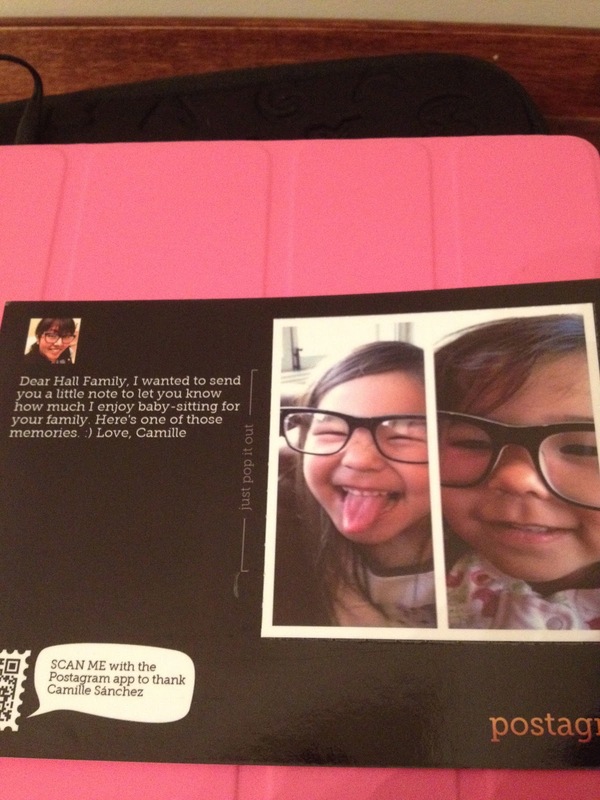 Look at this sweet postcard we received in the mail! A little shopping which included bracelets and sunglasses. 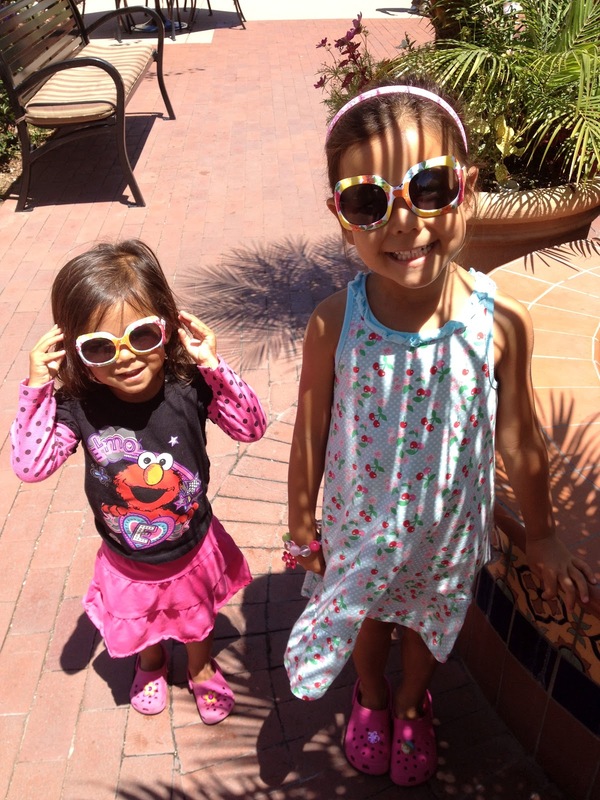 And Sophia picked out a pair of shades for little sis too. 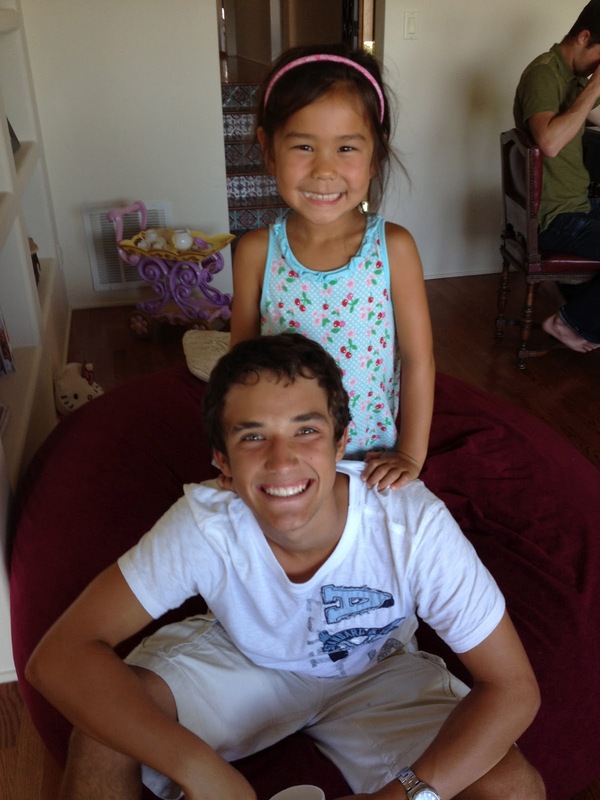 Visit from Cousin Eric definitely made her day! Favorite gift of all . 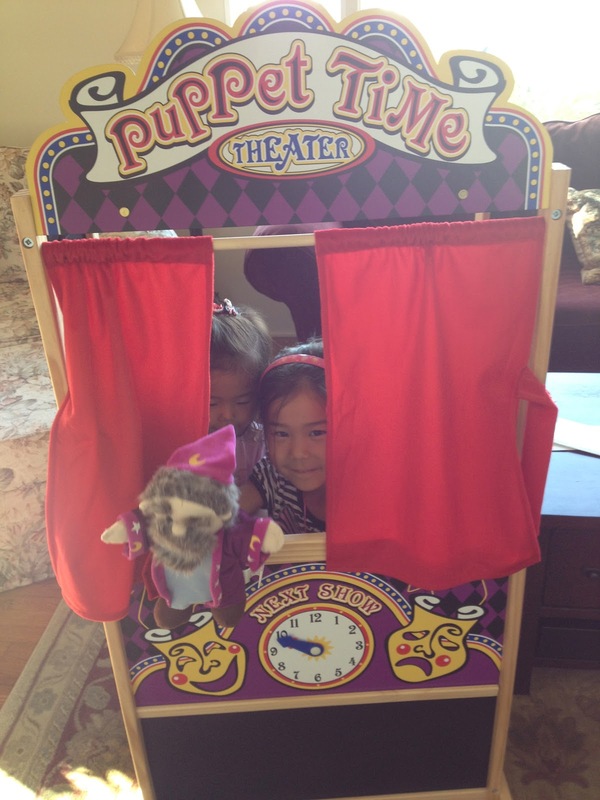 . . Puppet theater from Grandma and Grandpa. Last but not least, a birthday dinner at Via Vai. and she wanted to go back. Happy 5th Birthday Sophia Grace! We are so blessed you came into our lives five years ago. Every moment since then has been an adventure. Life has been a roller coaster; full of ups, downs, bumps and thrills. Oh but we wouldn't trade any of it for the world! Vivacious and full of life sums you up in a nutshell. Extremely smart, funny, and beautiful are a few wonderful qualities you possess. You are that ray of light that makes everything in this world better. One in a trillion is what you are! Undeniably, you are the sweetest love in our lives.